It is with profound sadness and heavy heart that we announce the passing of Douglas Buchta. Doug passed away after a lengthly struggle with a rare blood cancer, including having endured a challenging stem cell/bone marrow transplant procedure. He is survived by his dear wife and love of his life, Joan Buchta (nee: Barker). The high school sweethearts were together for over 50 years and raised two loving children, Angela English (nee: Buchta) and Matt Buchta. Together with their respective spouses, Shawn English and Melanie Buchta (nee: Duke), their children raised four wonderful grandchildren, Markus and Abby English, Alex and Seth Buchta, two magically loving and caring families which Doug cherished above all else. He loved nurturing his children and in later years his four grandchildren, always placing their needs ahead of his own. A former resident of High Prairie, Doug was born, raised and educated in High Prairie. Doug played all his minor hockey in High Prairie. He also played with the High Prairie Regals in the 1966-67, 67-68, 68-69 seasons with great skill. He was considered a very good player who enjoyed his team mates and was known for his comments. One of his favorite saying was “Did you see that?”, after scoring a goal or making a good hit. 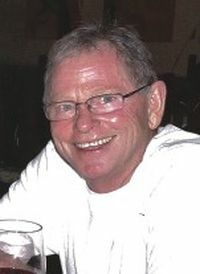 Throughout his lifetime Doug was a committed and accomplished athlete who enjoyed every aspect of the rigors of athleticism, playing hockey, baseball, snowboarding, golfing, kayaking and mountain trekking right into his mid 60’s. He held various track & field, swimming and ice hockey records throughout his youth, some of which still stand today. He is a graduate from NAIT, Edmonton, AB, acquiring an Honors Diploma in Architectural Technology. After working in the construction industry a few years, he joined the RCMP on October 2, 1974. Doug spoke fondly of his part in a bit of Force history, having trained as one of the few first married recruits, Troop 19/74, training which included working alongside of the very first troop of female members. He served faithfully and honorably for 30 years, retiring on October 3, 2004. During his career, he embraced the challenges of a variety of disciplines including duties as a General Duty Member, Hwy Patrolman, Motorcycle Patrolman, Crime Prevention Practitioner, Media Liaison Officer and in his last 18 years, a Forensic Identification Specialist. He left us a young man in both heart and soul and will be truly missed. A memorial service was held at Oliver’s Funeral Home, Grande Prairie, AB on Friday, August 3, 2018.